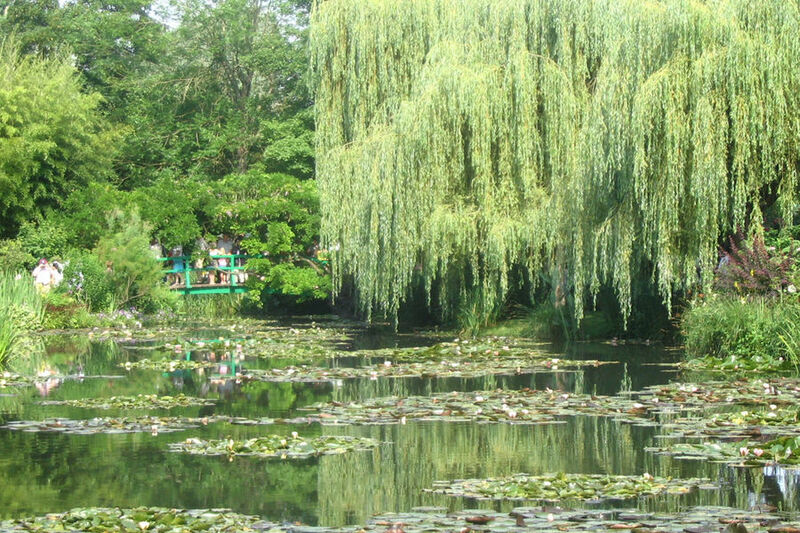 Which came first: Giverny or Monet? Certain artists are so identified with particular places that it's hard to pry them apart. France, with its shimmering light and gorgeous scenery, has more than its share of these pairings: Monet at Giverny, Matisse in Nice, Picasso at Antibes, and Van Gogh in both Arles and Auvers-sur-Oise. It's enjoyable to see the artists' masterpieces in museums, but you can get a better sense of what inspired them by visiting the places where they worked. Late in life Claude Monet built a garden paradise in Giverny (50 miles from Paris), complete with a Japanese garden and a pond full of floating lilies. To capture the pond, wisteria, willows and lilies on canvas, he set up his easel outdoors. Today, we say, "Well, duh!" But open-air painting was unorthodox in the 19th century. The Giverny gardens are just like Monet's paintings — brightly colored, untamed and slapdash, and dappled by the reflections of sky, clouds, and trees. Flowers were his brushstrokes. Strolling along the edge of the lily pond, you can see that Monet's true subject was not the garden itself — it was the play of light. To see some of the famous water lily paintings Monet created here, visit the Orangerie Museum in Paris. In Giverny, the Museum of the Impressionists is worth a look. Far to the south, surrounded by water and sky, the French Riviera has long drawn artists and beach-lovers. 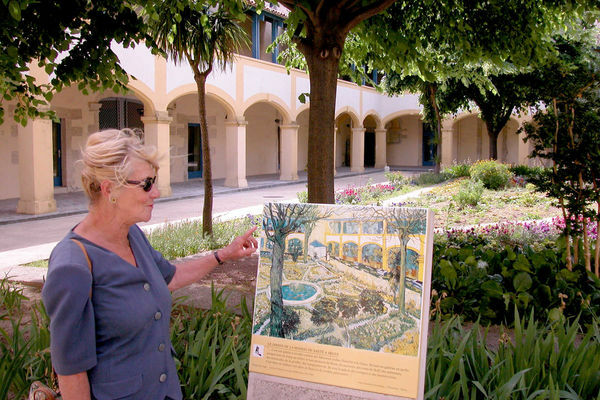 Its central city, Nice, proved to be an ideal incubator for Henri Matisse's creativity. In the 1920s and beyond, Matisse escaped from dreary Paris (and his wife) to the pure light of the Mediterranean coast. Armed with the bright colors of the Impressionists, he happily opened a window onto this paradise. Painting with wide-eyed wonder, Matisse captured the radiant Riviera in decorative still lifes of fruit and flowers and vibrant portraits of come-hither women. He was the master of leaving things out and letting the viewer fill in the rest. For a small selection of the paintings, head for Nice's Matisse Museum, set in a park where the artist liked to stroll. The rich and famous have long preferred the Riviera's resorts like St-Tropez. But Pablo Picasso preferred the down-to-earth ambience of Antibes. (Even for travelers today, this town makes a good home base for exploring the Riviera.) Picasso was 65 when he moved here in 1949. Life was good — World War II was over, and he had a 23-year-old mistress. Art materials were in short supply, so he made do with house paint and plywood. His Antibes paintings celebrate color, freedom, and joie de vivre after the long nightmare of war. Antibes' interesting old town faces its sandy cove, and Picasso often sketched on the beach. Sea creatures, tridents, bathing beauties, and marine themes pop up in the fine works you can see displayed at the nearby Picasso Museum. Rough-and-tumble Arles lies to the west in Provence, removed from the sea but still infused with magical light. The most famous resident of this town was a Dutchman — Vincent van Gogh. 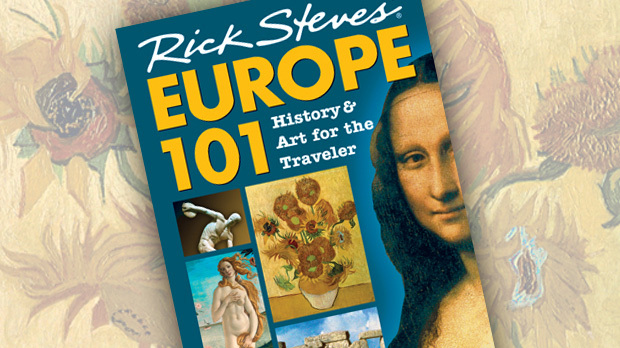 Coming from the gray skies and flatlands of Holland and Paris, he arrived in Arles in 1888. The town inspired an explosion of creativity. He claimed, "The whole future of art is to be found in the South of France." He worked in an absolute flurry, producing nearly 200 canvases (such as his iconic Sunflowers) in just over a year. In the end, all Van Gogh left in Arles was a chunk of his ear — you won't find any paintings. But you can see the places he painted around town (such as the famous yellow café), helpfully marked by easels with photos of the canvases for then-and-now comparisons. After Arles, Van Gogh headed north to the village of Auvers-sur-Oise, near Paris. Again he feverishly painted everything around him: his doctor, his postman, the town church, his friends' houses. But in the end, he could not quiet his demons. He wandered into a ripening wheat field (which he had earlier painted) and shot himself in the chest. Two days later, he died (at the Auberge Ravoux, now a little Van Gogh museum). To stroll the quiet country lane from the Auvers church to the village cemetery where Van Gogh is buried (next to his brother Theo) is to walk in the artist's footsteps. Take time to know the context in which art was created, and your appreciation of it will deepen. By visiting Giverny and other artistic haunts, you can see what the artist saw while painting. Marvel at the alchemy that turns a living place into timeless art.